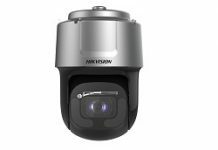 Hanwha Techwin America is slated to announce its latest multi-sensor camera, the Wisenet PNM-9000VD (2-head) delivering 5MP image quality and modular lens configuration at an affordable price. 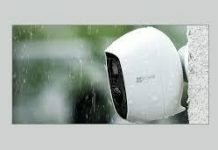 The PNM-9000VD supports 30fps image capture and true 120 dB WDR (Wide Dynamic Range) without compromising frame rate for each of its 5MP sensors. 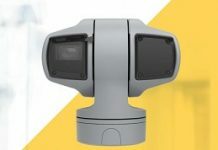 For maximum adaptability, configurable factory focused lens/CMOS sensor modules are available in 3.7, 4.6, and 7mm for multiple fields of view which can be easily installed on site. Hallway view aspect ratios are also supported for monitoring of vertical shaped areas. 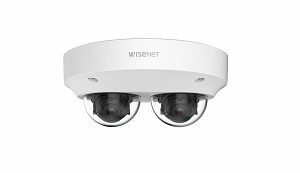 Each sensor has its own Wisenet 5 chip providing a full suite of built-in video analytics including loitering, directional detection, fog detection, tampering, motion detection, and objects entering or exiting an area. The PNM-9000VD supports a selectable triple codec featuring H.265/H.264/MJPEG, which is complemented by Hanwha Techwin’s in-house developed WiseStream II technology. 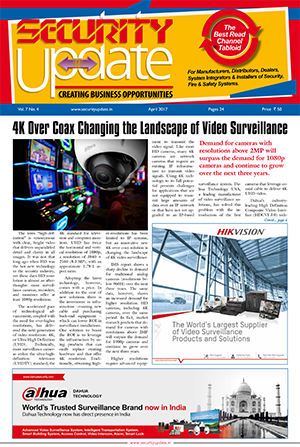 Additionally, for customers still utilising the H.264 video compression-based VMS and servers today, having H.265-capable cameras provide a future-proof investment as the infrastructure continues to evolve. The PNM-9000VD utilises a single IP address requiring only one VMS license further reducing the cost to install, service, and support.